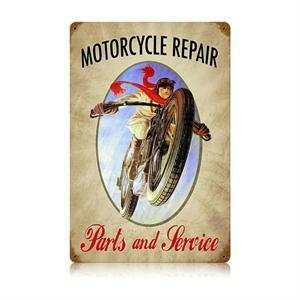 Vintage look motorcycle parts and service tin sign for your shop, trailer, or man cave. Vivid colors featuring an old school bike and rider, from back in the day. 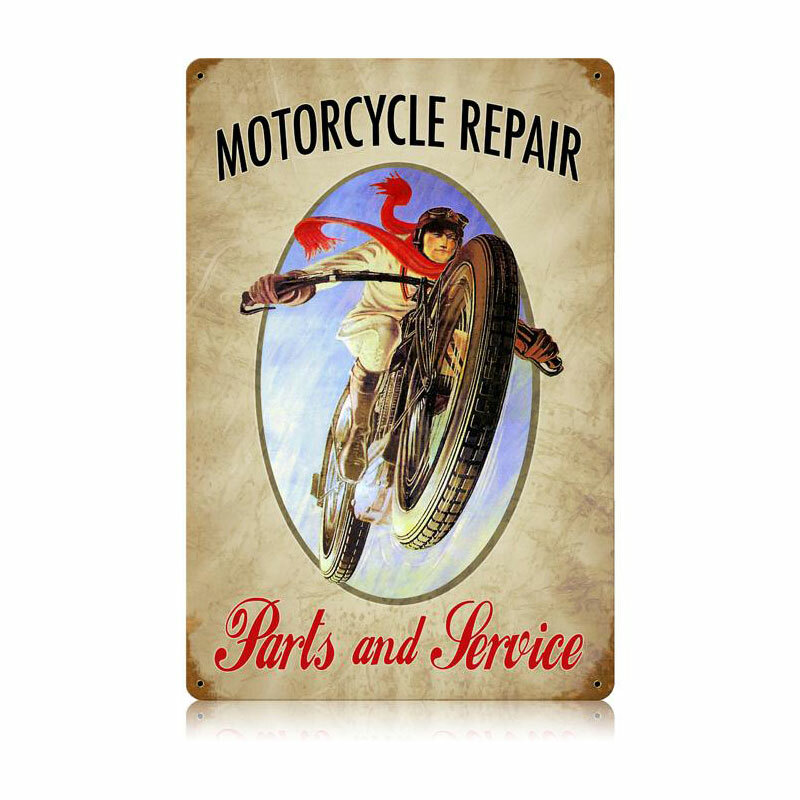 This very heavy powder coated steel sign measures a very large 12" x 18" in size, and weights in at a whopping two pounds. Make sure you can deal with this thing, before attempting to hang it!